Looks like Wonder Woman just caught Harley Quinn. Twelve days after passing “Suicide Squad” on the domestic box office charts, Warner Bros.’ “Wonder Woman” will pass DC’s supervillain showcase worldwide in its sixth weekend in theaters. This weekend, “Wonder Woman” made an estimated $16.9 million worldwide, with $10.1 million coming from the U.S. If that number holds by Sunday’s end, it will give the film a global total of $745.8 million, passing the $745.6 million made by “Suicide Squad” last year. Domestically, the film has a running total of $368.7 million, having passed the $330 million made by “Batman v Superman” last week. China leads overseas markets with $88 million, followed by Brazil with $31.7 million. 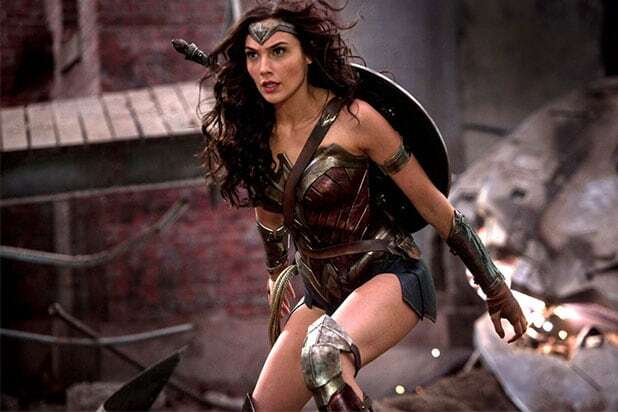 “Wonder Woman” is now the fourth highest grossing DC movie of all-time, with Batman films still holding the top three — the record belongs to “The Dark Knight Rises” with $1.08 billion, followed by “The Dark Knight” with $1 billion and “Batman v Superman: Dawn of Justice” with $873 million. If you stack Patty Jenkins’ film alongside the films in DC’s main peer, the Marvel Cinematic Universe, it would rank seventh, with the film in the No. 6 spot, “Guardians of the Galaxy,” within reach at $773 million. “WW” is also the highest grossing movie directed by a woman, blowing by the $660 million scored by “Mamma Mia” in 2009. “Wonder Woman” opens in its final market, Japan, on Aug. 25. The super heroine will return to theaters in “Justice League,” which hits theaters Nov. 17.